Oh, we creationists do point out that this fallen and flood-scarred creation groans and travails for rebirth [Romans 8:22]; that Paul linked the Creation [in the First Adam] to the Resurrection of Christ [the last Adam] and onward to our Blessed Hope in 1 Corinthians 15; and (to those who say we can add millions of years and/or microbes-to-man evolution to the Bible) that if this world will be restored to its pre-Fall as promised in Acts 3:21, yet death, mutation, disease, suffering, thorns, natural disasters and mass extinction abound in the fossil record, we really haven’t got a good future to look forward to (i.e., Acts 3:21 only makes sense if there was no pre-Fall death and suffering in God’s “very good” Creation[Genesis 1:31]). Admittedly, we usually don’t have as much time as we would prefer to reflect upon end times Bible prophecy. Gary Frazier, president of Discovery Missions, has written an entirely readable and thought-provoking book on this subject. The first half of the book especially is quite the page-turner. Over the space of 185 pages, Frazier paints a compelling picture of how the end might come. I say might because, well, there’s a lot of uncertainty where it comes to end times Bible prophecy. For example, Jesus explicitly warned that no man nor angel could know the day nor the hour of His appearing, save God Himself [Mark 13:32]. This all-important caveat places a veil of obscurity over end time events, presumably to prevent one from discerning when Christ will return. We see through a glass darkly, as it were. In any case, this makes a lot of eschatological speculation read a bit like science fiction, which, in part, accounts for the popularity of the Left Behindseries. Nevertheless, Gary Frazier does a great job of piecing together a scenario to show how things might develop if the Rapture came tomorrow morning and the rest of Bible prophecy came tumbling into place onto the stage of world history! He explores possible reasons for why the United States of America is not mentioned in Bible prophecy, examines the probable role of the European Union, Islam, the Roman Catholic and new technology in fulfillment of specific prophecies. I found most of his scenarios compelling. 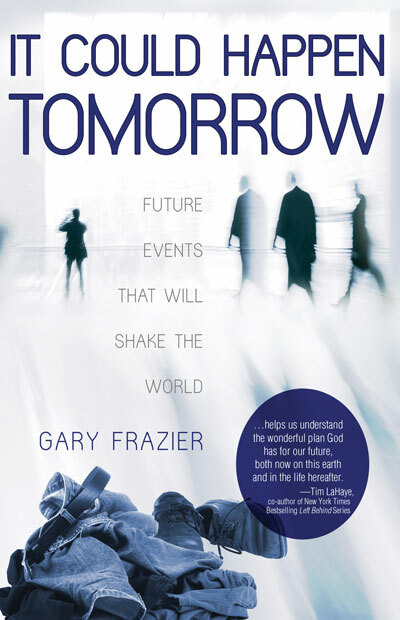 Frazier is at his strongest while discussing current events and their possible fulfillment of Bible prophecy, but the last chapter – dealing with the Glorious Appearing, future judgments of believers and unbelievers and the Millennial reign – suffers a bit, if only because the preceding chapters are so well-written. He also makes a compelling case for the dichotomy between the Rapture and the Glorious Appearing, summarized in an excellent chart on 15 differences between the two Biblically foretold events on pages 22-23. Again, none of my objections diminish the overall effectiveness of his book. Overall, I found Gary Frazier’s book a fascinating, thought-provoking read. It Could Happen Todayis written as an approachable summary for the popular audience, which makes it a bit easier to understand and digest than some of the other eschatological works I’ve read. So if you’re looking for an easy-to-understand synopsis of how things could come to pass from a pre-Tribulational Rapture view of things, buy this book today. You can find out more about the book at http://nlpg.com/itcouldhappen or view the book trailer at http://www.youtube.com/watch?v=iaNtnT1SSYM&feature=player_embedded.